Motorola's latest flagship smartphone, the Moto X will have its price cut for an hour on Monday, 27th of January 2014, as Motorola kicks off its Valentine's Day sale. Indeed, it is an extra sweet deal without a contract. The $100 discount on any Moto X is a limited special offer that starts to avail Monday at 3pm to 4pm (ET), obtainable while supplies last of course. 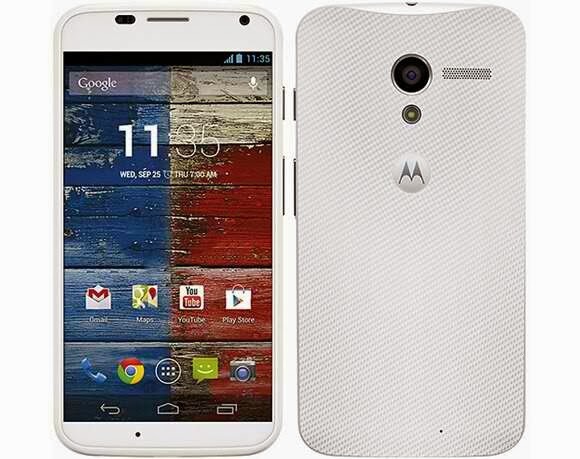 Those who will miss the special offer can still avail of the $70 off on any Moto X units, contract free. This promo is set to last until the 14th of February, Valentine's Day. As what Motorola has posted on its Twitter page, the deal will be applicable for both the developer and the international edition of the Moto X device. Motorola's Moto X handset originally emerged among the most expensive smartphones but later on, the manufacturer has decided to impose gradual price cut until it reached a fixed price at $399. With the $100 discount Monday special, you may now get a share of such a hefty handset for only $299. All you need is to act quickly in order to hit the website before the deal expires. The Moto X smartphone comes with a 72m0p 4.7-inch Super AMOLED display, a custom eight-core Motorola X8 chipset with dual 1.7GHz Snapdragon MSM8960 Pro cores, 8 mega-pixel camera, a 2200 mAh battery and a 2GB of RAM. It runs on an Android 4.2.2 Jelly Bean platform with an available update to Android 4.4 KitKat. The device sports Motorola X8 Mobile Computing System. Available color variants are black, white (front panel) and 18 color options (back pane).